Promotes patriotism and work for international accord and friendship among all people. The Clarkston Optimist Club’s activities are focused on the youth of the community, respect for law and promoting patriotism. The club sponsors Junior Optimist Clubs (JOOI) at the elementary, middle school, junior high school and high school levels. Student of the Year recognitions are held at each school in the Clarkston Schools district. A multitude of programs throughout the year are focused on youth - Friendly Forest, Optic Socks, Renaissance Elves project, Essay Contest, Oratorical Contest, grants to youth programs, SCAMP Field Day and the Fourth of July parade sponsorship. 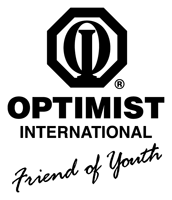 We welcome you to become a Clarkston Optimist!